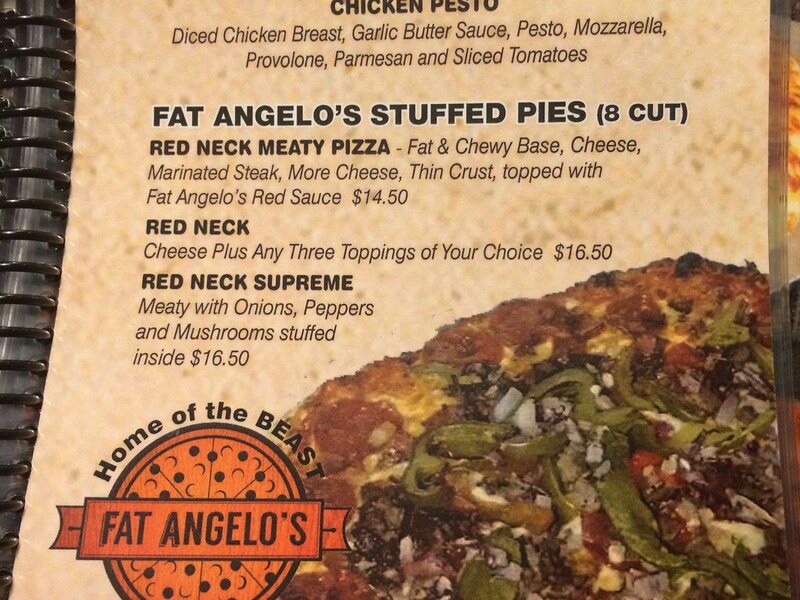 Uniontown-based pizzeria Fat Angelo's has been operating a branch in Cheat Lake's former Anthony's Pizza location in Ashebrooke Square for quite some time. I was waiting for all the branding to be officially changed over, but once the anticipation was killing me. The restaurant was recently featured on Restaurant Roadtrip and showcased "The Beast," a gigantic 50-slice pizza -- 60 inches! 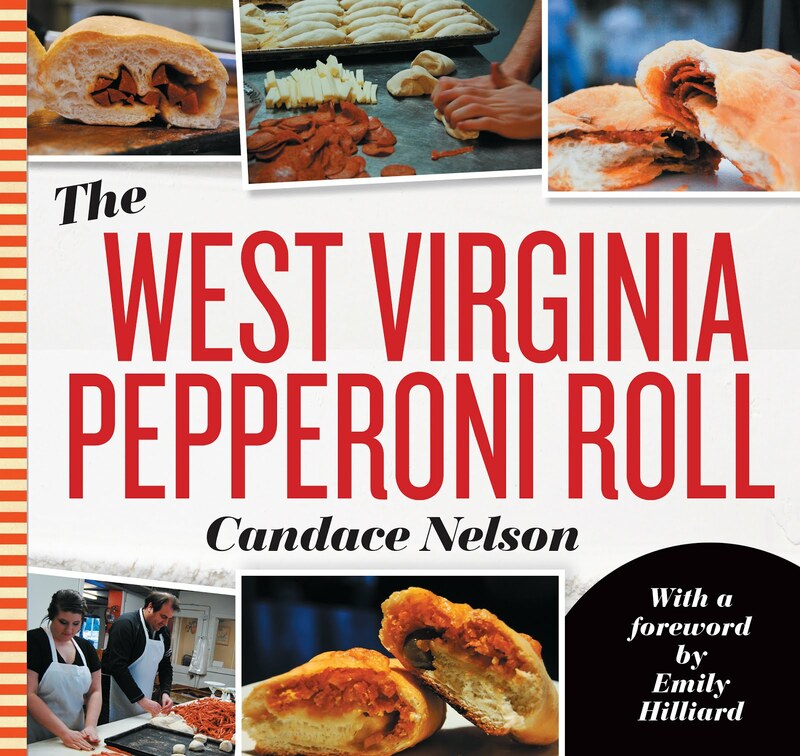 Then there are the specialty pizzas - like the Mountaineer, which has kettle-cooked chips, a ranch base and cheese on cheese on cheese. 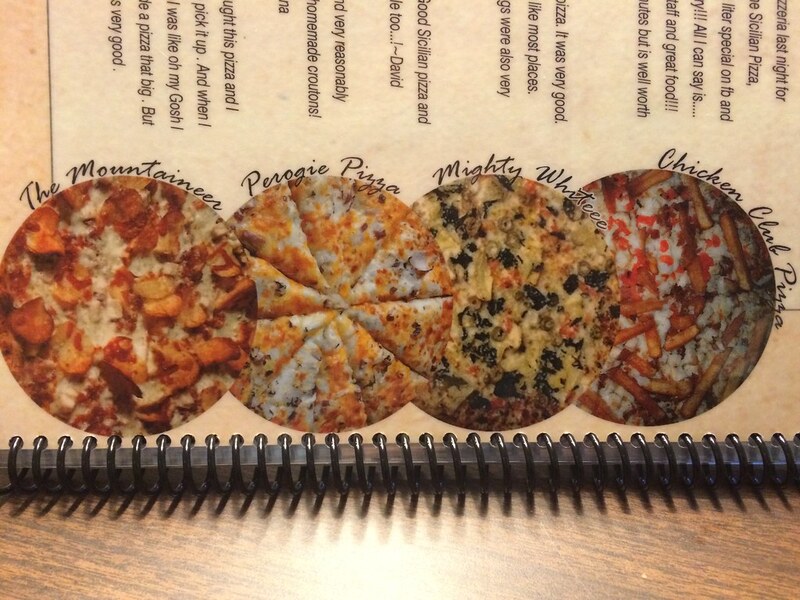 Other specialty ones include the Perogie Pizza, the Mightly Whiteee and the Chicken Club Pizza. They also have these stuffed pies - which apparently just leaves the sauce on the outside. Any of that sounds great, right? So, my friend Kayla and I ventured to that side of town. 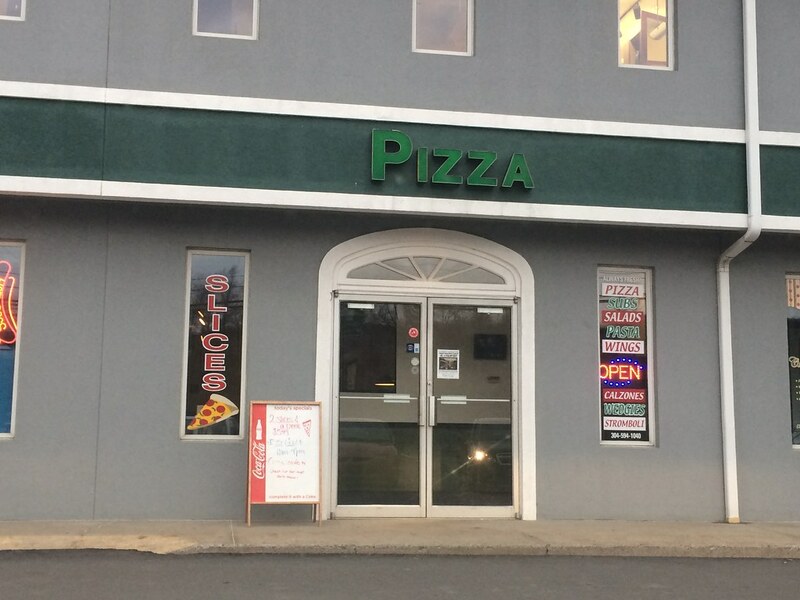 There's a simple sign "Pizza" out front. Seems easy enough. Inside, we walked up to the counter, took a brief look at the menu and ordered small pies. I wanted just a regular one to test the waters here. So, I got a small four-cut pizza with mushrooms. When my pizza came out, I was happy to see a thin crust with the toppings sprawling out to the edges. I picked up a single slice, with stringy cheese resistant to come along for the ride. The slice was flavorful in a way I wasn't expecting. The sauce definitely has a sweeter flavor. 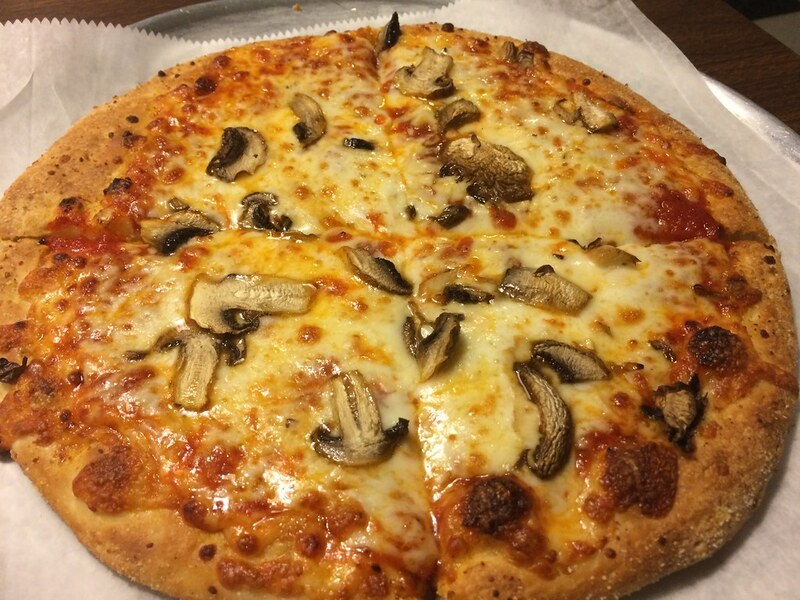 The crust was good - thin - and the cheese and mushrooms were tasty. I kind of mulled the flavor of the sauce over. I like it. I like the hint of sweetness, but I think a bit of a balance would have suited it a bit better. I do like it, a lot actually, but a hint of spice maybe would help balance it out. I'm glad there's a pizza place on that side of town - and it's pretty good - and I think I might have to stop by when I'm here again.